Has google made my brain soft? So I’ve been staying with my folks post surgery because the challenge of a top floor tenement flat is just too much with crutches. They’ve been great: making my porridge, carrying cups of tea to the table, taking care of my washing etc. When you’re independent it’s hard to let others care for you but I guess it’s at the heart of the parent-child relationship. One thing that’s struck me while I’m recovering from surgery and have nothing in my diary, no deadlines to meet, no fixed purpose for my day, is my lack of concentration. While I could get away with blaming the anaesthetic hangover and poor sleeping pattern, I simply don’t have the ability to focus on anything beyond a bite size chunk. Extended prose narrative prompts distraction. I struggle with information plaques in museums, skim newspaper articles and lose interest in TV and films. Is the internet and social media to blame for my short attention span? A study found that post length is one of the most consistent determinants of engagement levels (1) so twitter seems to have got it right with the 140 character limit. However, it may be that the internet is better at stimulating brain power than sitting down to a novel. In a study, researchers asked subjects to read a book and then perform searches on the internet while MRI monitored their brain activity. While significant brain activity using the regions controlling language, reading, memory and visual abilities was reported during book reading, different regions of the brain controlling decision making and complex reasoning were also activitated during internet use – but only in those with prior internet experience and knew what they were doing (2). There is also a suggestion that internet is reprogamming our brains. In a book about how the internet alters the way our minds work, Nicholas Carr writes “If, knowing what we know today about the brain’s plasticity, you were to set out to invent a medium that would require our mental circuits as quickly and thoroughly as possible, you would probably end up designing something that looks and works a lot like the internet”. He suggests that the internet stimulates the parts of the brain that deal with fleeting and temporary stuff that deep thinking becomes almost impossible, as the neural circuits responsible become weakened. My memory also seems to have taken a hit, another by-product of the internet. I’ve become lazy. While it would be nice to be able to remember things, I just don’t need to. We don’t have to remember key bits of information anymore. Phone numbers and addresses are stored in our phones, I take photos as a way of remembering and even at work everything is just a few clicks away. When people expect to be able to have future access to information, they have lower rates of recall for the information itself but rather higher recall for where to find the information (3). Are we becoming a transactive memory society – we don’t have to remember everything, just a different range of things like who knows it and where to find it. Ok so how can I expect people to read a blog over 140 characters? 1. Arnold MJ. 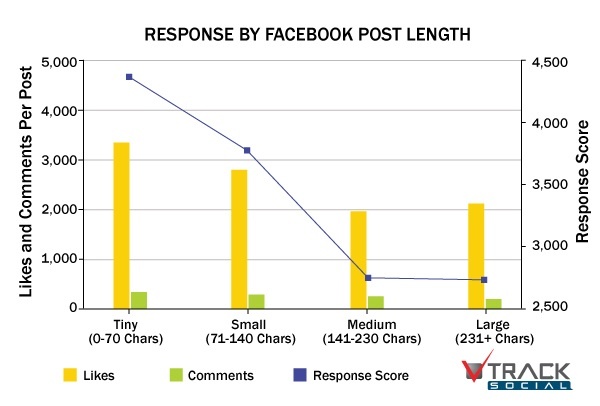 Optimising facebook engagement – the effect of post length. This entry was posted in Random on 02/04/2013 by Mangoventures.